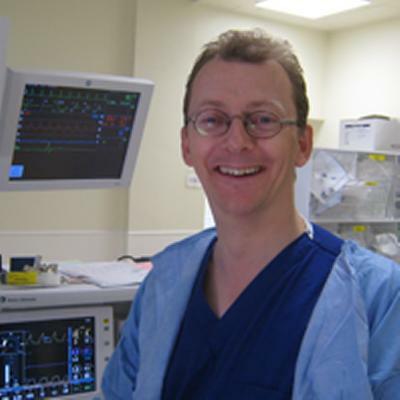 Professor Charles Deakin is Honorary Professor of Resuscitation and PreHospital Emergency Medicine within Medicine at the University of Southampton. Professor Deakin qualified from Cambridge University in 1988 and completed his higher medical training in London and Bristol before transferring to Southampton in 1994, where he was appointed to his current clinical post of Consultant in Cardiac Anaesthesia and Intensive Care, University Hospital Southampton in 1999. He is also Assistant Medical Director for South Central Ambulance Service and holds an Honorary Chair at the University of Southampton where he is Professor of Resuscitation and Prehospital Emergency Medicine. Professor Deakin's academic interests are focused on pre-hospital trauma and resuscitation and he has researched and published extensively in these areas. He chaired the Advanced Life Support (ALS) Committee of the European Resuscitation Council from 2001-2012 and was ALS co-chair of the International Liaison Committee on Resuscitation for the 2005 and 2010 resuscitation guidelines revisions. He is a member of the Executive Committee of the Resuscitation Council (UK) and is lead for adult resuscitation for the Joint Royal Colleges Ambulance Liaison Committee, which sets the standards for UK paramedic practice. Professor Deakin founded the Hampshire and Isle of Wight Air Ambulance where he is the clinical lead, and also chairs the Medical and Survival Sub Committee of the RNLI. Consultant in Cardiac Anaesthesia and Intensive Care, University Hospital Southampton. Honorary Chair, Faculty of Health and Medical Sciences, University of Surrey. Assistant Medical Director, South Central Ambulance Service NHS Trust. Chair, RNLI Medical & Survival Committee. Executive Committee, Resuscitation Council (UK). Research Committee, Resuscitation Council (UK). Joint Royal Colleges Ambulance Liaison Committee (JRCALC). Clinical Practice Guidelines Sub-Committee. Expert Medical Adviser, National Policing Improvement Agency. Advisor, National Confidential Enquiry into Perioperative Deaths (NCEPOD) - Cardiac Arrest Audit 2011-12. Member of the National Institute for Health and Clinical Excellence - Guidelines Development Group for ST-elevation myocardial infarction (STEMI). July 2011 - July 2012. Community Resuscitation Steering Group - Department of Health England. 2015 UK Resuscitation Guidelines Working Group. Resuscitation Council (UK) - Advanced Life Support and Pre-Hospital representative. Resuscitation Council (UK) Pre-hospital lead, National Out-of-hospital Cardiac Arrest Outcomes (OHCAO) Project Steering Committee. Council Member, Royal National Lifeboat Institute. Operations Committee, Royal National Lifeboat Institute. Jacobs, I., Sunde, K., Deakin, C. D., Hazinski, M. F., Kerber, R. E., Koster, R. W., ... Sayre, M. R. (2010). Part 6: defibrillation: 2010 international consensus on cardiopulmonary resuscitation and emergency cardiovascular care science with treatment recommendations. Circulation, 122(16), S325-S337. DOI: 10.1161/CIRCULATIONAHA.110.971010. Dodd, T. E. L., Deakin, C. D., Petley, G. W., & Clewlow, F. (2004). External defibrillation in the left lateral position--a comparison of manual paddles with self-adhesive pads. Resuscitation, 63(3), 283-286. Blake, A. S., Petley, G. W., & Deakin, C. D. (2000). Effects of changes in packed cell volume on the specific heat capacity of blood: implications for studies measuring heat exchange in extracorporeal circuits. British Journal of Anaesthesia, 84(1), 28-32.